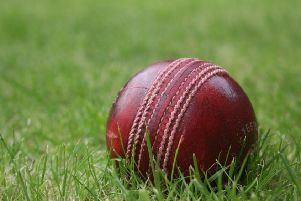 Thorpe Arnold CC gained some revenge for their recent County League loss when they defeated Egerton Park in the Grantham and Melton Association on Sunday. Park won the toss in the Premier Division clash and opted to bat first, but the hosts quickly lost openers Jacob Bates and Anthony Pedlar. Overseas signing Rakesh Seecharan rebuilt with wicketkeeper Tom Mold (20) until Lewis Perry (2 for 42) had the latter caught and bowled. Joe Carnell (7) was soon bowled by Kingsley Miller (2 for 38), but Seecharan (79) found more substantial support from Jordan Woolcock (54) as the pair set Park on their way to a competitive total of 193-6 from their 40 overs. Thorpe’s chase also started badly when opener Perry was caught by Park skipper Henry Newton off the bowling of Connor Beeken without scoring. But Charlie Read (50) built good partnerships with Richard Garner (29) and then Mark Starkey (46) to swing the match Thorpe’s way. Tom Barnard finally bowled Read, Beeken (2 for 47) trapped Miller for nine, and Seecharan (2 for 34) then removed Hirst cheaply as Park fought back. But it was too little, too late as Richard Randall (39 not out) guided the visitors to their target with six wickets down and two overs to spare.